This has been an interesting week with two controversies that broke out of nowhere. First involved Khadi, Gandhi and Modi. The second was about Amazon selling doormats and flip-flops with images if Indian flag and Gandhiji’s pictures, not in India though. 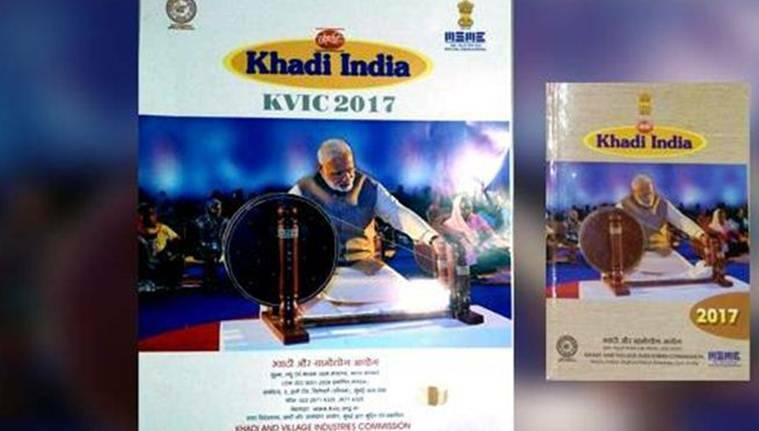 This week KVIC released calendar and diary, which had pictures of PM spinning the Charkha instead of Bapu. The picture of Bapu spinning Charkha is iconic and is almost a symbol of what the Father of Nation stood for. The outrage on social media was enormous. Reportedly even the PM was not impressed by what KVIC had done. One argument that was given out was that Modi is a bigger brand name then Gandhiji and has made a significant impact to the sale of Khadi in India. The question then is this: is either the PM of the Father of the Nation a brand name? Brand names are transactional. There is always a give and take involved with them. Without the layer of commerce and transaction a brand is just a method of recognition. For me both the icons belong to the whole country and have no connection with being a brand. They espouse a certain symbology that has wider meaning than narrow commercial interests. Khadi can do with both the icons coming together to create a narrative that is uniquely Indian. Remember an American Denim brand can take khadi and launch ultra expensive pair of trousers and meet with commercial success. Khadi needs a consistent brand building effort; it is an icon of India’s cultural heritage. What it needs is more contemporary image, something that may not get crafted by merely replacing one icon with another without changing the symbology. May be there is a lot that PM can give to Khadi. 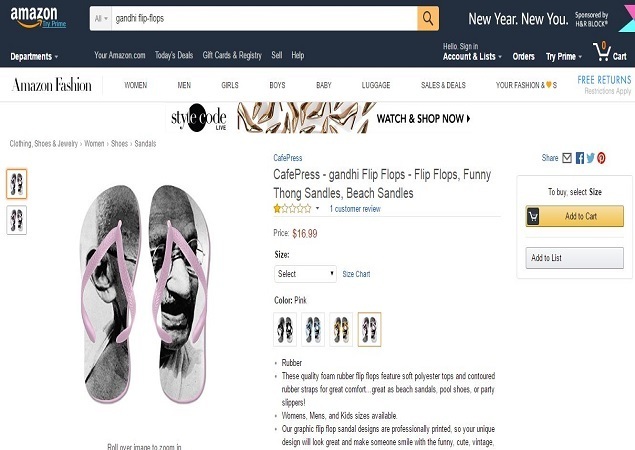 The second controversy was about Amazon Canada selling doormats with Indian Flag and then Amazon selling Flip-Flops with Gandhi’s image. Both created a flurry of activity on social media with the External Affairs Minister leading the attack on Amazon. We can debate whether the attack was an over reaction, and whether the might of Government could have been used to exert pressure on Amazon to remove the offending products from sale. When it comes to commerce, louder the noise wider the impact. There are some lessons that Amazon can learn from Facebook which has a fairly stringent community guidelines about the kind of stuff that can be posted. Many of these are automated and FB bars using from posting stuff. There are countries that have no qualms when the national icons are used for commerce, like USA allows the graphics of its flag to be used commercially, but we in India don’t. In the hyper connected world Amazon has no option but to live by the rules that have been set by various countries. Using global icons like Gandhi for commerce also falls in the same category, especially when the product becomes offensive. Using icons of national importance for commerce is always a tough thing to do. Culturally India keeps commerce and national icons fairly insulated from each other. When Khadi uses Gandhi’s images it uses the images to build on the rich heritage of Indian and values India stands for. The imagery is of defiance, determination, and walking on a self-created path. We don’t use the national symbols fir commerce for we keep them at a higher pedestal than mere transactions. These are lessons that are not easy to learn for those who are not seeped into India. Let the PM endorse Khadi, but let him do it in newer more contemporary ways. Let him show the new path of discovery and determination. This entry was posted in Ad Review, Advertising, Uncategorized and tagged amazon, Diary, ecom, FlipFlop, Gandhi, Khadi by nareshgooglegupta. Bookmark the permalink.